Yesterday was National Puppy Day, so you know what that means: it's time to show some love to man's furry BFF. If you're looking for the perfect way to celebrate this tail-wagging occasion, look no further. 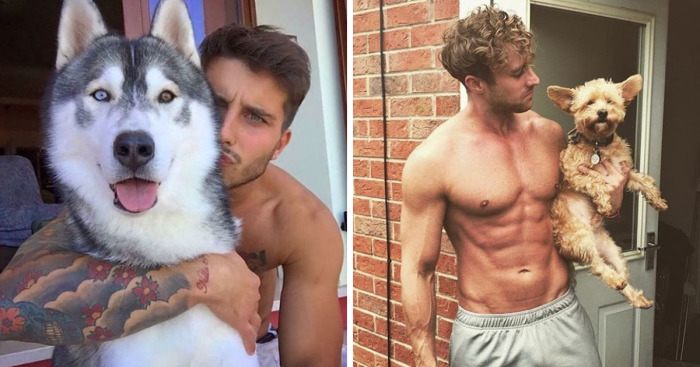 There's an Instagram account called "Hot Dudes With Dogs" that showcases a bunch of insanely hot men posing alongside their adorable puppy pals. This drool-worthy Instagram account features everything from studs snuggled up with their precious pups, and doggy DILFs that love wearing matching outfits with their pup, to fine AF fellas that aren't afraid to give their pup a slobbery smooch or snap a few shirtless selfies with their doggo. Seriously, these hot dudes with dogs are guaranteed to give you all the feels. If he's wearing a shirt with the dog's face on it, why doesn't the dog wear a shirt with the mans face on it? The man has great eyes and his pups are so comfy. Way to go guy! These dogs really know how to pose! How do these dudes know that they look better with a puppy. Front cover of Hunk and Hound. Matching hoodies! Too f***in' cute! "Yes I let him kiss me." "Hey Mom meet my new girl friend". The cuddly is strong with this one. "Oh no, I don't think so"
"Just you and me Kid". "Yes sweet heart I still love you, but I have to go to work." "dogs that look like their owners"
I don't know who's hair I want to ruffle more. BRUNO AND HIS DAD. AGAIN. "More please, this feels so good". "My tongue is my best quality". Your hair was tickling his face. Clearly, the dog didn't get the joke..
"Hey mom look at my new roommates. " Yeeeeah...good luck trying to finish that cone on yer own. Why do people tattoo half naked women on themselves? So weird! That is one adorable puppy, I want to snuggle him! Why is the dog crying? I love you <3 Both! That is one gorgeous animal! What a shiny glossy coat! Aw migorsh! He's so adorable! Lookit that tongue n those happy puppy eyes! Hug hug hug hug hug hug hug hug hug HUG. I would like to get some of Pepe's tacos! Looks like a very obedient dog! Is this photoshopped? Looks like the same guy... twinsies perhaps? "You better believe it because one false move.."
K.P.  is a freelance writer living in New York City. So, hot guys are all under 25 and have tons of tattoos and six-packs. I'd rather see nice ordinary guys of all ages with their dogs.